Osaka's Nice shop su, founded by Kazuma Sasajima in 2014, is an indispensable distributor and retailer for many independent publishers. The shop occupies that barren realm between self- and commercial distribution, which is why it feels so rare and essential. Since meeting online in 2017, Kazuma has shown me nothing but kindness and generosity. This pop-up shop is really a thank you to Kazuma who has consistently given so much considered attention to me and my work. I was interested in Refresh op su being a bookstore so Kazuma sent a handful of art books and experimental comics from Nice shop su's current catalog, as well as some copies of his Very Gois compilation series. 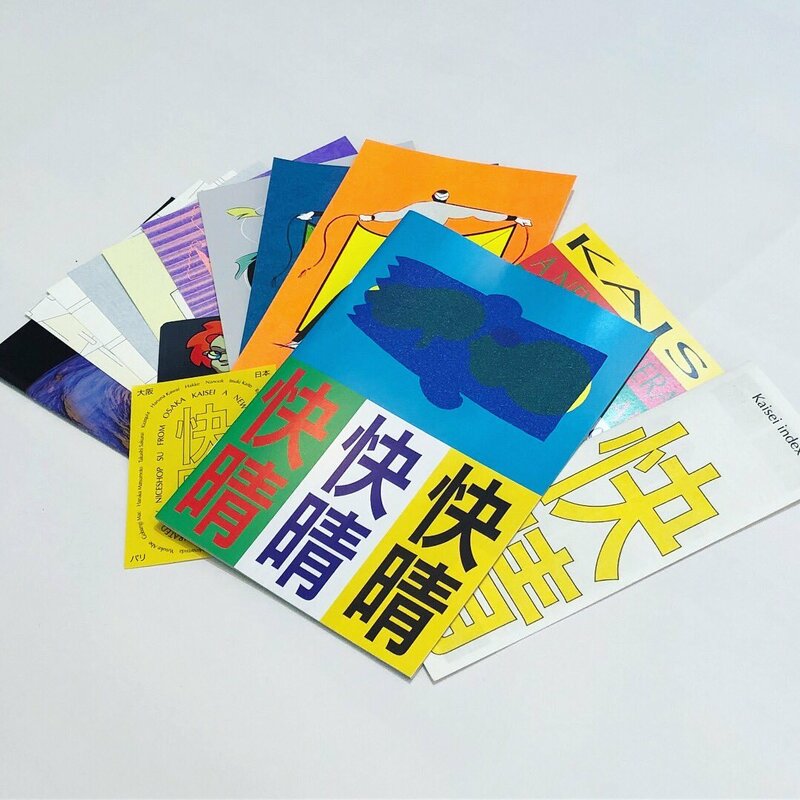 All proceeds from these sales will be sent to Kazuma to support Nice shop su at its new home inside multi-use community space pe.hu, which he helped to open in 2018 and continues to collectively run. The design for this page pays homage to Nice shop su's current website. Please send inquiries to natalia.panzer@gmail.com or message @refreshgallery on Twitter. Or, contact me some other way :). Image via Nice shop su. Click through to see more images. Nice shop su published the Kaisei index to highlight "a new generation of Japanese artists." 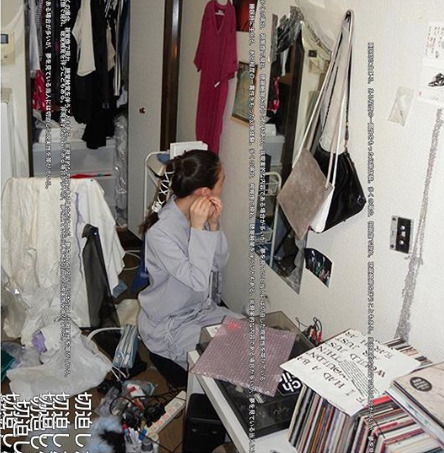 Contributions from Hakke, Nanook, Itsuki Kaito, Ryusuke Marume, Ayaka Sanuki, Takao Oishi, Fukin, Yuriko Sumi, Sae Fujita, Singo Minamida, Yusuke Abe, Gobangi Mac, Haruke Matsumoto, Takashi Sakurai, Kazquiz, and Haruna Kawai. 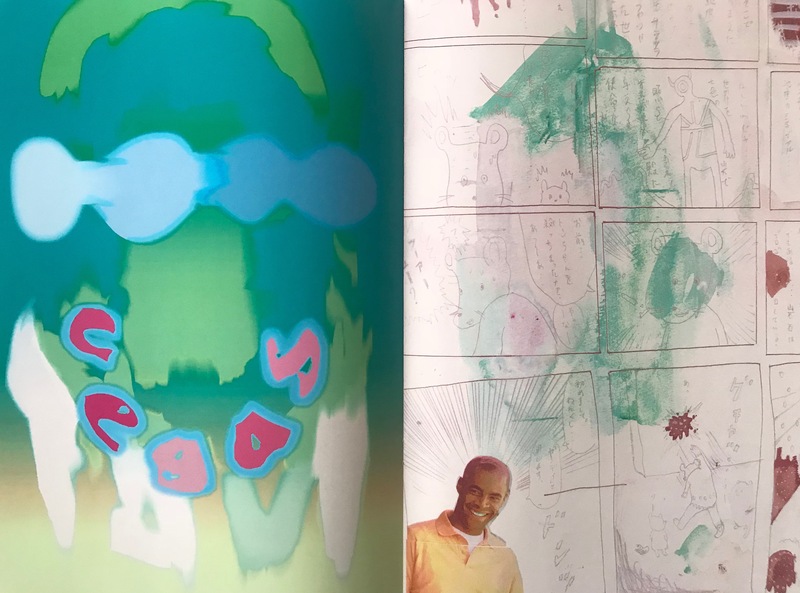 The index includes loose digital and risographed prints, a business card, and a 63-page book of colour drawings, comics, and digital artworks. Includes a bookmark with information about each artist. Booklet is 8.25x5.75". Prints are 7"x5". $15. Hand-sewn, 8-page collaborative zine from who I know as 6.7.rn and goyomatsubonsai. Matte paper cover feels so nice. English and Japanese text guides us through a free-floating comic that traverses eating, exercising, and socializing across one vague day. Reading this feels like reading a letter. 5.7"5x4". $5. Full-colour artist book by my favourite painter Rina Cho. Vaguely figurative and very textural. Ghosts smile and potted plants bend towards the sun, or droop in darkness. I can feel the grain of the canvas, the weight of the paint, and the ideas emanating from her hands. Comes with a sticker and another surprise. 26 pages. 7"x5". $7. 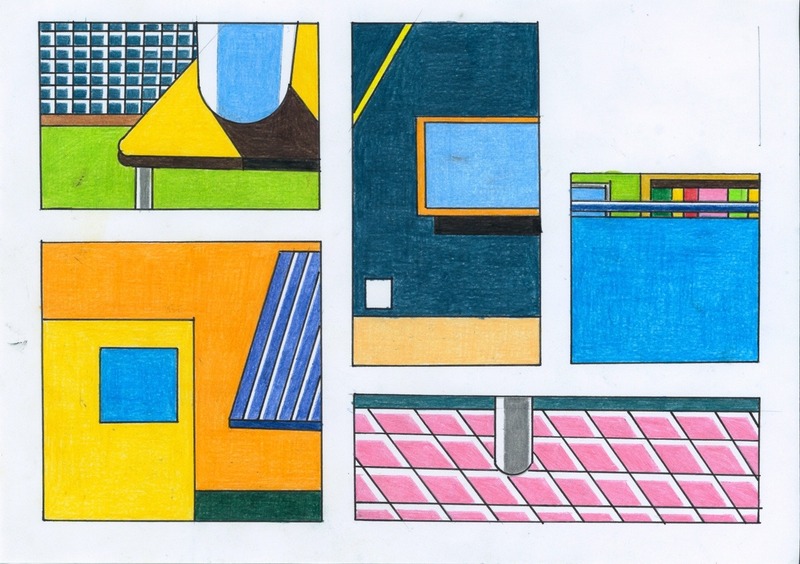 A collection of colourful pencil drawings focussing on domestic interiors and abstracted, linear graphics. Like rainbow blueprints or plans for imagined rooms. Grids, windows, and much glass. An idea of light defines these drawings, and, like at home, hits surfaces in fragments. Each issue comes with a unique cover. 12 pages. 7.25"x10". $20. 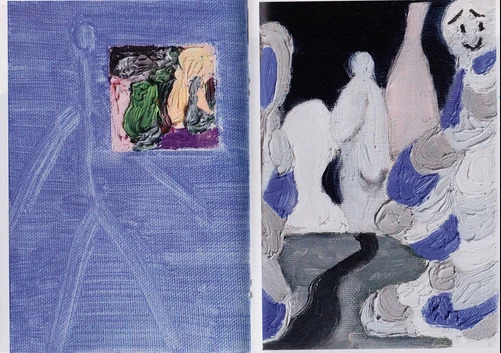 12-page artist book featuring colour paintings by artist and musician shiwashiwa. We follow characters and creatures through dusky settings. It seems to always be evening or sunrise. 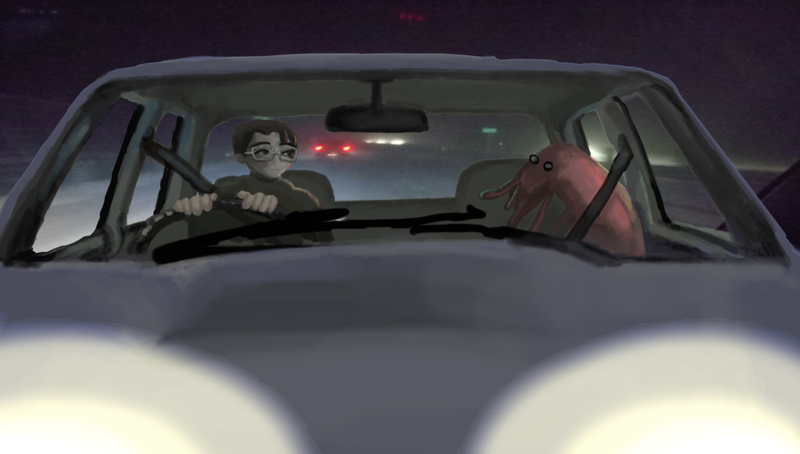 Lightning flashes, fires burn, an octopus rides in a car and cats swarm the bed as they lay, separately together. Single-celled creatures crawl out of the sea and settle on the couch. Chained to the earth, but everything has become a little bit scrambled. 5"x7". $6. dinamishaisuke also goes by the name emeraldclitoris. Large-format art book including paintings, comics, and digital paintings and collages. Kind of like the internet threw up in a sweet way because it's only been eating the nicest foods. 36 pages. 11.75"x8.5". $10. Third installment of Kazuma's Very Gois multimedia compilation. 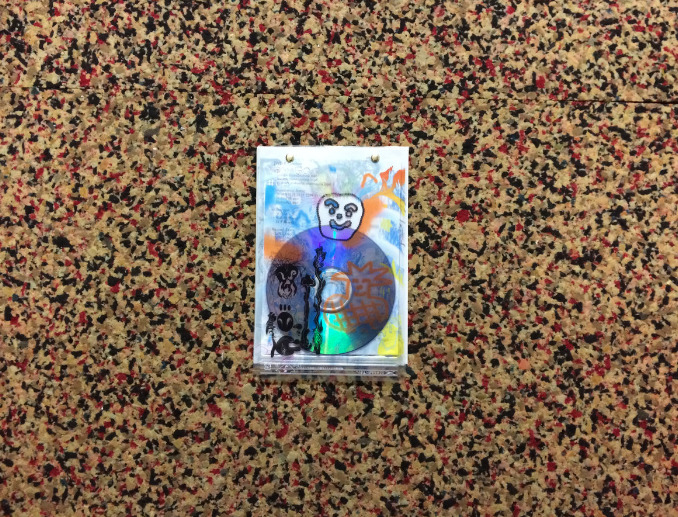 DVD-R and booklet with contributions from 8 Zł, Constellation Botsu, emamouse, Hannah Perry, Headband, Jack Patterson, Jesus Belluci, Just the Right Height, Nina Cristante, and Ro. Read more about this release and hear a sample here. 8.5"x5.5". $20.